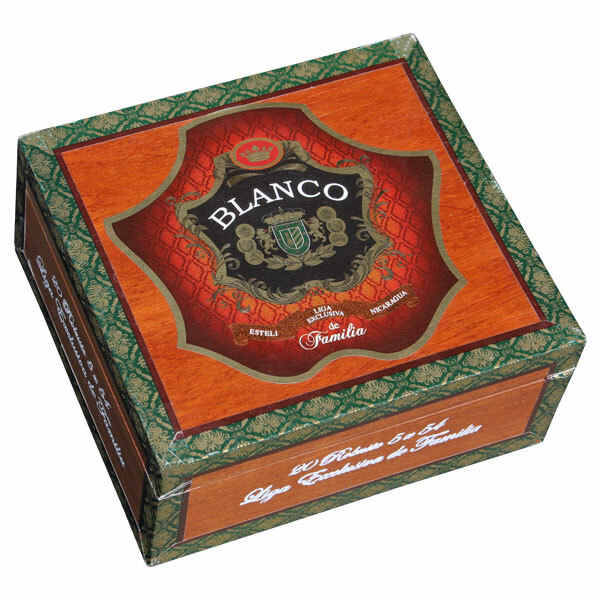 The Blanco Cigar Company entered into the cigar industry in 1998, at the tail end of the great cigar boom. However, the Blanco family dates much further back, with a heritage that traces back to Cuba and its most premium growing region, Piñar del Rio. This, the Blanco family shares in common with their cousins — the legendary Plasencia family. Today, the Blancos have reunited with the Plasencias and have their line of premium, boutique cigars produced at the Plasencia’s esteemed Plasencia Cigars, S.A. factory in Estelí, Nicaragua. In 2012, the Blacnos—led by Cuban emigrant brothers David A. Blanco and Cesar A. Blanco—introduced their finest blend to date, offering the appropriately-titled Liga Exclusiva de Familia (translating to “Exclusive Blend of the Family”) cigars in both Connecticut Shade and Broadleaf Maduro variants. The cigars focus on premium Nicaraguan filler and binder tobaccos and are topped with a Honduran, US-seed, Connecticut Shade wrapper (Cesar’s preference), or a dark, Pennsylvania Broadleaf maduro leaf (David’s preference). The cigars are blended to showcase an old-school style, with the Connecticut Shade offering a medium body and creamy notes of sweet oak, caramel, nuts, and a slight spice. The Pennsylvania Broadleaf maduro is a bit heavier, bringing a medium-full body and characteristics of wet earth, black pepper, dark chocolate, and espresso.